I have been dabbling my hands in the Egyptian art form and I have come across stories that both amaze me and amuse me. Here I have painted a very famous painting of Queen Nefertari and God Isis. Queen Nefertari was the first wife of Egyptian pharaoh Ramses II and lived around 1279–1213 B.C. The painting depicts Queen Nefertari’s journey into the life after death. The writing indicates that the place is Nefertari’s tomb and she is being led by God Isis into the hereafter, with their hands inter wined. 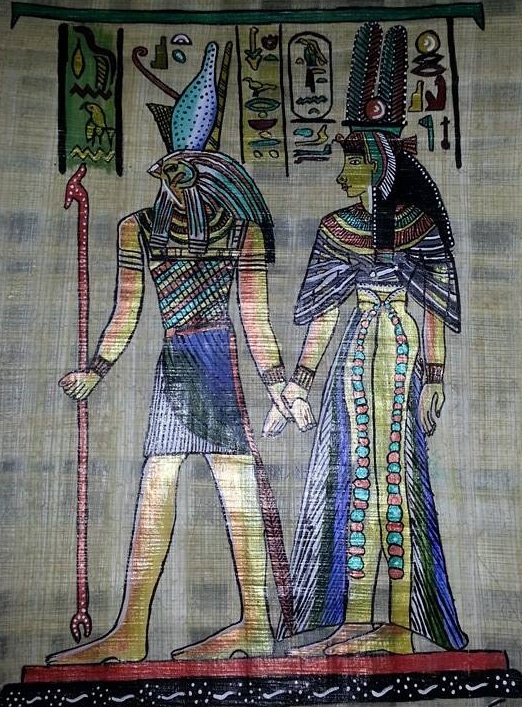 The painting is done on handmade paper called Papyrus. It uses fine brush strokes and bright colours to indicate the clothing. Nefertari is seen wearing a translucent dress and veil which indicates clothing of the immortal. 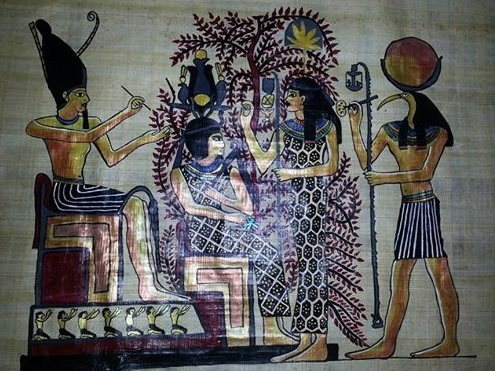 The second painting depicts the tree of life and a ceremony being carried under the tree. I graduated to painting as a Hobby recently. 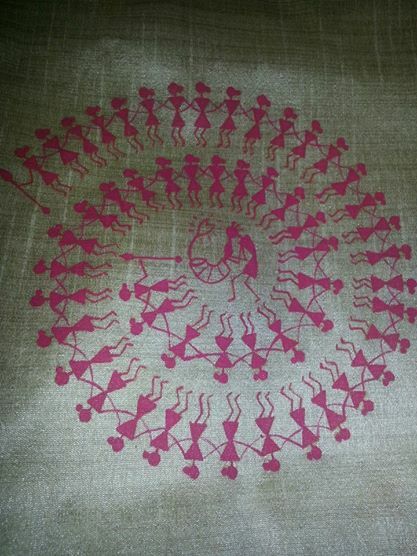 Here I paint a Tunic with Warli Tarpa Dance. Warli is an art form which is practiced by the Warli Tribe living in the coastal areas of Maharashtra and Gujarat in India. Warli Tribe uses intricate art form to decorate the walls of their mud houses and the colours used are obtained from flowers mixed with rice powder. Tarpa is a wind instrument played by the village head who stand in the middle while the rest of the group goes around him in circles. This instrument is made from pumpkins and a bamboo stick. It is considered as a gift from God Narandeva and is considered sacred. Men and Women participate equally in the Tarpa Dance and the lead dancers hold a stick with bells that is hit on the ground to direct the group and add to the music.Women wear half-sari with beautiful flower necklaces and marigold flowers in their hair. Men wear the traditional attire which consists of dhoti and a shirt.They move around the village head who plays the Tarpa instrument with equal rhythm. Warli tribe stays close to nature, their houses are made of mud and beautifully decorated with Warli paintings. A house with a marriage foreseen in near future is decorated with exquisite drawings of bride and groom processions and merriment of the tribes.